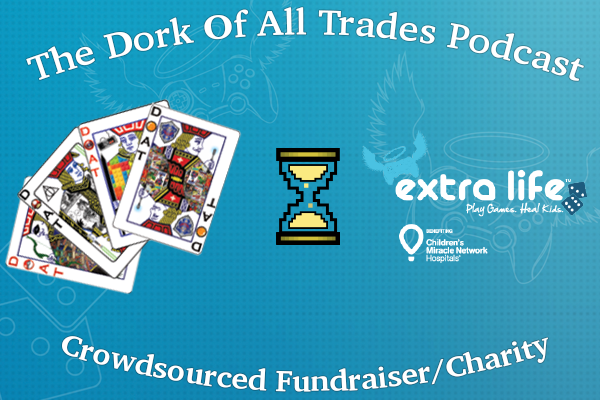 We are raising money in September for Extra Life, a charity designed to raise money for Children’s Miracle Network Hospitals by playing video games; as well as to fund better equipment for the show. This week, Tim, John, and John’s dad discusses movies made before 1980. They discuss Top 5 movies, Honorable Mentions, 1930 Movies, 1940s movies, 1950s movies, 1960s movies, 1970s movies, Gofundme, Extra Life, Childrens Miracle Network Hospitals, Atlantic City, the best movies ever made, Dad is Old, Horror, Genre, Comdey Films, Classic Comedy, Rear Window, Jaws, Stephen Spielberg, Willy Wonka and the Chocolate Factory, Gene Wilder, Goldfinger, James Bond, Gone With the Wind, Wizard of Oz, Color Movies, Technicolor, Talkies, The Graduate, Simon and Garfunkel, Garfunkel and Oates, Ann Bancroft, Mel Brooks, Max Brooks, Nerdist, Alfred Hitchcock, Remakes, Homages to the greats, Homages, The Godfather, The Godfather II, Al Pacino, Mario Puzo, Francis Ford Coppola, Star Wars A New Hope, Star Trek, Special Effects, Industrial Light and Magic, Casablanca, Jet Lee, Enter the Dragon, Monty Python and the Holy Grail, Dr Strangelove, Some Like it Hot, Billy Wilder, it holds up, Marilyn Monroe, the Movie Black and White/Color Barrier, Psycho, Birds, Hitchcock, War Movies, Honorable Mentions, and More! Our song intro and outro is titled “About My Business” by Montago Bradley and Duane Williams. Special Thanks to all of the Nerd Podcast Mafia: So Wizard, Open All Powers, The Convo Comics Podcast, The Back Issue Pod, Fans on Patrol, Cult-45 Podcast, the Nerdtastic4 Podcast, the Geek Yogurt Podcast, and Super Hero Speak.